This Authentic Mexican Restaurant with a Drive Thru and Beer and Wine License is located on a busy street in a redevelopment section of Long Beach. 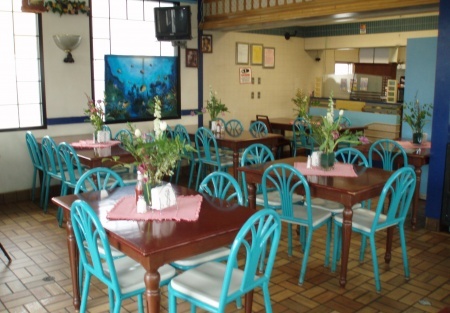 The restaurant has a nice, casual environment which draws in the locals. There is 1488 square feet inside with seating for 40 and a private parking lot with a Drive Thru for convenience. The base rent is $5000 per month and the lease has 7 years remaining with a 10 year option. The seller reports gross monthly sales to be between $18000-$20000 and this is an fixed asset sale. The FF&E's includes a 12'hood and a 6' hood, deep fryer, grease trap, grill, walk-in refrigerator, freezer, steam table, sandwich prep 2-door refrigerator, a 4-burner stove and a large burner stove. Recipes and Trade name not included. The owner has other restaurants and doesn't have time to be on-site on a daily basis and he is looking to scale down and retire. Great opportunity for an owner/ operator to run the business. This is a Business Intermediaries, Inc. listing. Rent is $5000 per month, with 7 years remaining on the lease and a 10 year option. a 4-burner stove and a large burner stove. The owner is looking to scale down. Great opportunity for an owner/ operator to run the business.